.... everyone to the official website of "America's Favorite Family," the Nelson's. This first project is without question, the most important step forward Ozzie and Harriet have taken in over 40 years, and we are thrilled that it gives everyone an opportunity to get involved and be an integral piece in the process of rebuilding. 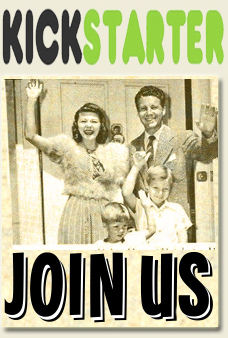 So click the below banner to join us, and be a part of the "NEW " Adventures of Ozzie and Harriet!